Looking for a bit more guidance? Sign up for one of our climbing programmes for a guided session with our friendly and knowledgeable instructors. Both introductory and developmental programmes are available to meet your needs. Rental of climbing equipment is included. New classes for individual sign up open every month. Register early to avoid disappointment! The child-friendly introduction to climbing means less time talking and more time climbing! Parents can leave your children in the hands of our friendly instructors who will supervise and ensure your child's safety during the session. Get a comprehensive introduction to the vertical world. Instructors will explain the Climb Central safety systems & get you started with some basic climbing techniques. Gather a group of 8 or more to start a session today! Challenge your child as they learn the ABCs of Climbing (Agility, Balance and Coordination)! Learning takes a different form when we add climbing into the equation. Classes are designed to help children develop safety awareness and confidence while allowing them to make friends at the same time. Get ready for lots of thinking and climbing with fellow climbers across a series of 8 fun and challenging sessions. Each session emphasizes on a particular technique that will help improve your climbing! For groups of 8 or more, contact us to start a class! 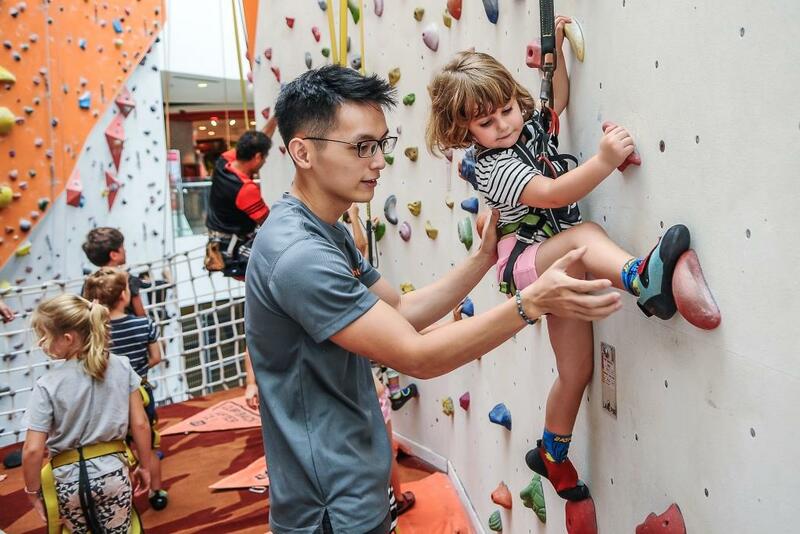 A full day of climbing and other fun challenging activities to occupy the kids during the school holidays. Kids will learn the ABCs of climbing, scale our walls, build a tent and enjoy many other activities with their peers in a safe and indoor environment. This is a multi-level yoga class designed specifically for climbers. Increase your balance and body awareness while extending your range of motion through chest, shoulders and hip openers. Help prevent injuries by strengthening muscle groups while protecting your joints. For groups of 8 or more, private booking and corporate options are available. Contact us at least 2 weeks in advance for more information.